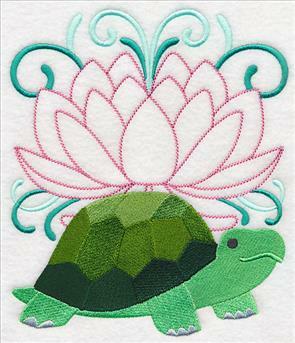 Bring beauty and elegance to your embroidery projects with new designs that evoke the style and sophistication of your favorite boutique. Unique and intricate flamingo and peacock trees stun on pillows and tote bags, while tea towels adorned with fashionable laurels will be the talk of the town. Country wreaths add just the right touch to home decor; whimsical butterflies, birds, and other spring designs add a burst of elegant color to a wide variety of projects. 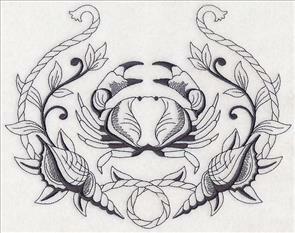 Scroll down the page to see these beautiful new designs! 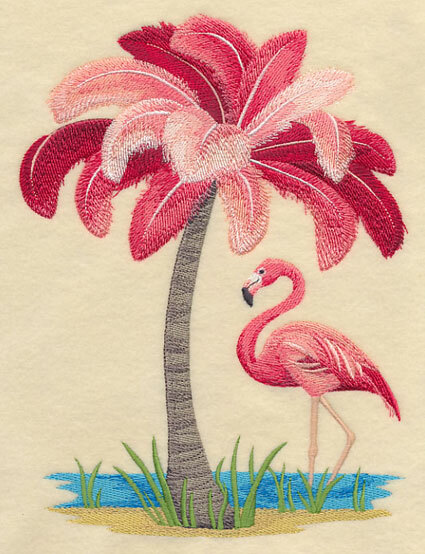 Get your beach bag ready for warmer weather with a stunning flamingo tree. 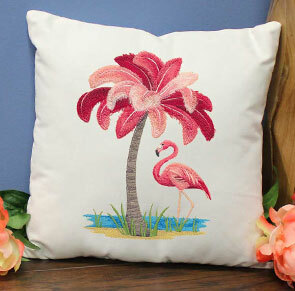 Soft, billowing flamingo feathers transform this palm tree into a tropical masterpiece. 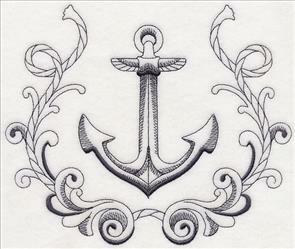 Add the fanciful design to pillows, wall hangings, and framed art to showcase its intricate detail and unique style. 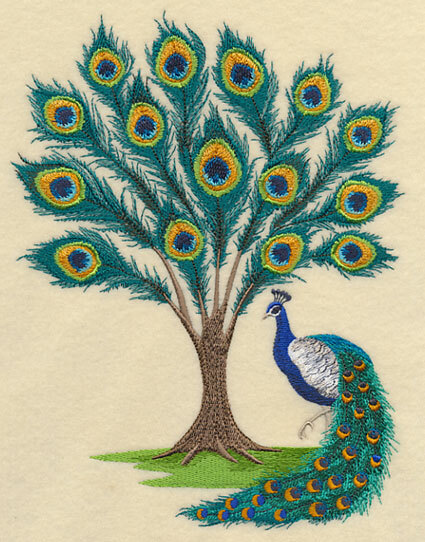 6.87" x 9.18" and 5.83" x 7.80" and 4.84" x 6.47"
Rich, ornate peacock feathers make this tree just as majestic as the bird it was inspired by. 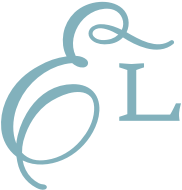 Great on pillows, quilts, and more! 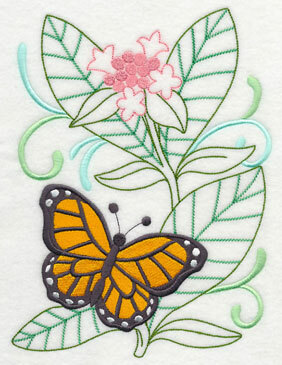 6.89" x 9.09" and 5.84" x 7.73" and 4.83" x 6.40"
Graceful laurels showcase butterflies, ocean motifs, wild animals, and more. 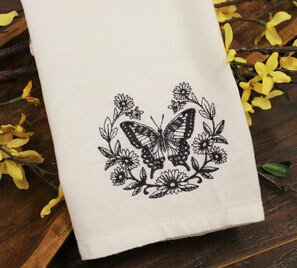 Not only are they one-color, which means they're delightfully quick to stitch, but these elegant designs are also full of intricate detail and an eye-catching way to update tea towels, pillows, and more. 8.61" x 6.90" and 7.80" x 6.25"
7.02" x 5.63" and 6.06" x 4.86"
8.74" x 6.89" and 7.78" x 6.13"
7.00" x 5.51" and 6.15" x 4.84"
Because these designs are light, with open areas showing through, low-nap towels or smooth, neutral fabrics work best. 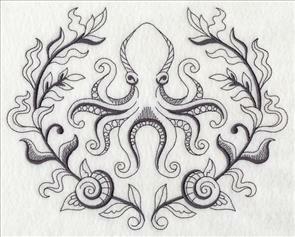 We love stitching these designs on twill, linen, canvas, denim, and similar fabrics. 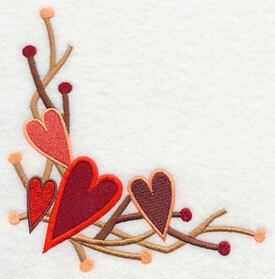 Get helpful tips and tricks for stitching on specific fabrics in our Fabrics 101 articles. 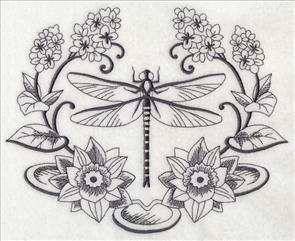 Stitch a dragonfly on your next garden or spring project, or get ready to sail the seas with a sophisticated anchor. These light-stitching designs are striking on a wide variety of projects, including tote bags, aprons, shirts, quilts, and more. 8.53" x 6.90" and 7.79" x 6.31"
7.03" x 5.69" and 6.00" x 4.86"
8.25" x 6.89" and 7.60" x 6.36"
6.99" x 5.85" and 5.79" x 4.85"
Stitch this crab and lobster on a pair of tea towels, placemats, or as wall art for your bathroom! 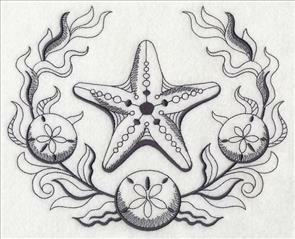 The seashells, seaweed, and rope found in the laurels are sure to conjure up images of the salty sea on any project. 8.36" x 6.83" and 7.60" x 6.21"
6.93" x 5.66" and 5.92" x 4.84"
8.81" x 6.88" and 7.78" x 6.08"
6.94" x 5.42" and 6.19" x 4.84"
An octopus and starfish are fabulous additions to linen napkins, outdoor pillows, or other beach-theme decor. Terrific on a wide variety of projects! 8.66" x 6.90" and 7.80" x 6.21"
6.90" x 5.50" and 6.08" x 4.85"
8.46" x 6.90" and 7.61" x 6.21"
6.86" x 5.59" and 5.94" x 4.84"
Create a distinct look with this lovely steer skull laurel on towels and table linens. 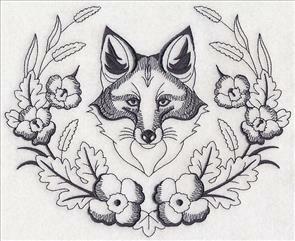 Or, embrace your inner wild side with a realistic fox design. 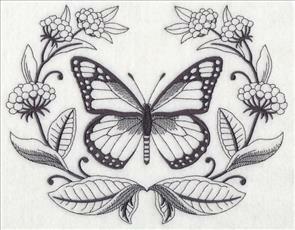 Both bring beauty to tote bags, table toppers, and more. 7.80" x 6.82" and 7.30" x 6.38"
6.69" x 5.84" and 5.55" x 4.84"
8.53" x 6.89" and 7.80" x 6.30"
7.23" x 5.84" and 6.00" x 4.84"
A buck and coordinating doe design will add a handsome look to cabin decor or woodland-theme projects. Stitch on jacket backs, bags, and pillow covers! 8.46" x 6.85" and 7.80" x 6.30"
7.24" x 5.85" and 5.99" x 4.85"
8.32" x 6.85" and 7.66" x 6.30"
7.11" x 5.84" and 5.89" x 4.84"
Inspired by the rustic Barn Stars and Berries Design Pack, these country brambles are perfect for adding a cozy look to any home. 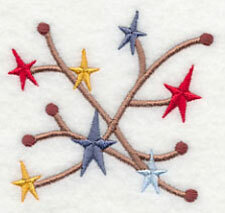 Stitch the wreath on a pillow, quilt, or wall hanging. 7.80" x 7.80" and 6.85" x 6.85" and 5.86" x 5.86" and 4.85" x 4.86" and 3.85" x 3.86"
Along with the berries and brambles wreath, a coordinating border has been created to adorn your next embroidery project. 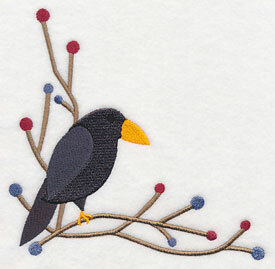 Primitive-style crows add an extra-country feel to these designs. 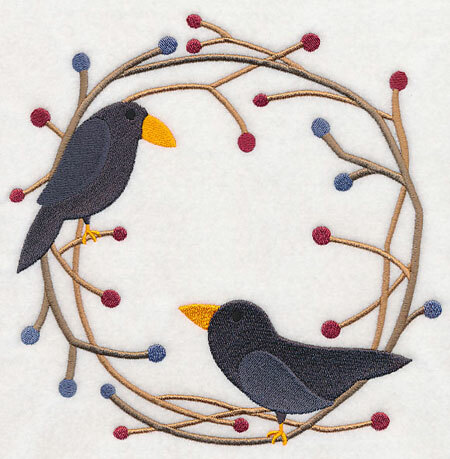 11.75" x 3.78" and 9.40" x 3.02" and 7.80" x 2.51" and 6.00" x 2.15" and 3.85" x 1.25"
Adorn a quilt with all the country crows and berries designs, or pick your favorite to stitch alone. The classic primitive-style adds a folk-inspired look to a wide variety of home decor projects. 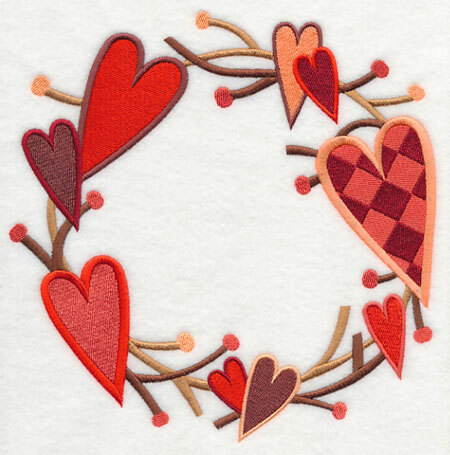 We "heart" these cozy wreaths so much, we made variations with the classic shape as well. 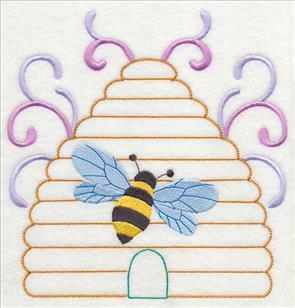 Not only are they a popular addition to country decor, but you can stitch the sweet designs on wedding, anniversary, and Valentine's Day gifts, too. 7.71" x 7.79" and 6.89" x 6.95" and 5.84" x 5.90" and 4.84" x 4.89" and 3.86" x 3.90"
The simple shape of the primitive hearts lends a homey style to any embroidery project. 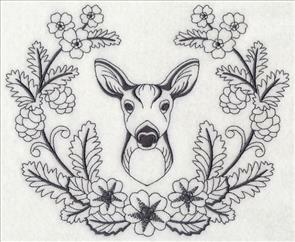 Stitch this border design on towels, placemats, and more. 11.70" x 3.58" and 9.38" x 2.87" and 7.75" x 2.38" and 6.00" x 2.03" and 3.88" x 1.33"
A table settings gets a sweet update when stitched with these love-ly designs. 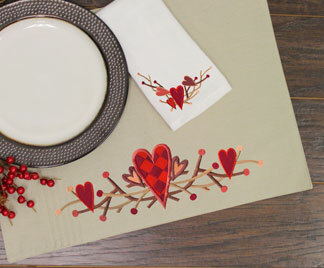 We love pairing the border on a placemat with a napkin embellished with the corner design below, but you can also stitch the hearts on tablecloths, table runners, and more. 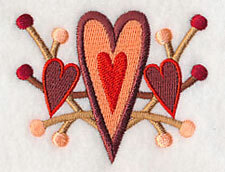 Stitching the hearts in varying shades of red, pink, purple, and peach adds a unique level of depth to these heart designs. 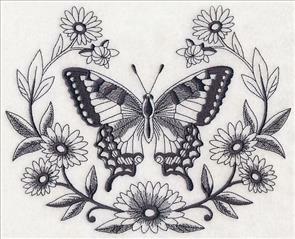 Add to your next embroidery project! 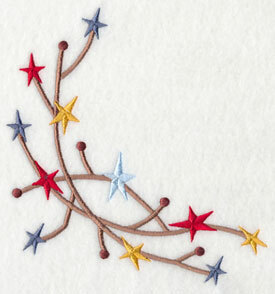 Finish off this collection of country-inspired designs with a stars and berries combination that's full of charm. A simple wreath shines on pillows, framed art, door hangings, and more. 7.79" x 7.80" and 6.90" x 6.91" and 5.86" x 5.87" and 4.86" x 4.86" and 3.85" x 3.85"
Bright stars and pip berries are iconic primitive, country motifs, and are a beautiful way to add brilliant color to your home decor. 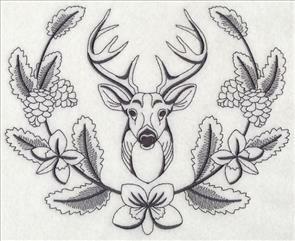 Stitch this border in conjunction with the wreath above. 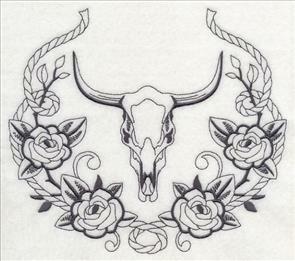 Or, add to pillowcases, bath towels, aprons, and more. 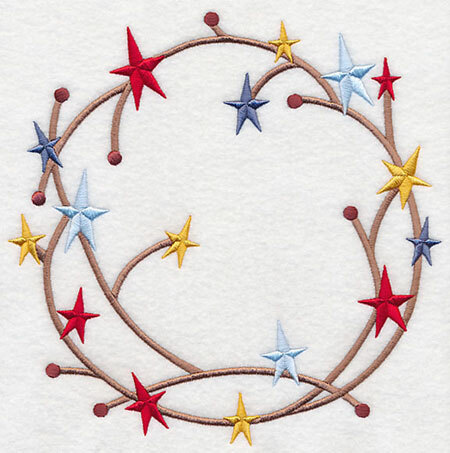 11.75" x 2.75" and 9.41" x 2.23" and 7.81" x 1.85" and 6.00" x 1.68" and 3.90" x 1.17"
A star-spangled corner and accessory continue the cozy country theme. 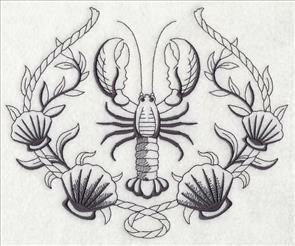 Perfect on a napkin or pocket! XXL - Designs smaller than 7.9" 7.9"
Embrace nature's beauty with a boutique full of your favorite garden creatures and motifs. 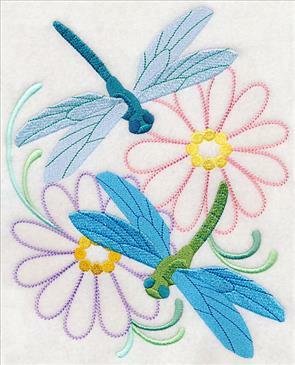 Dragonflies and butterflies land on flowers and greenery -- and bright color to a wide variety of embroidery designs! 6.90" x 8.47" and 6.20" x 7.60"
5.61" x 6.87" and 4.86" x 5.96"
6.91" x 9.22" and 5.85" x 7.81"
5.41" x 7.22" and 4.86" x 6.49"
Outdoor pillows are an especially gorgeous way to show off these eye-catching designs. Add to pillows, seat cushions, and umbrellas to brighten up any outdoor space. 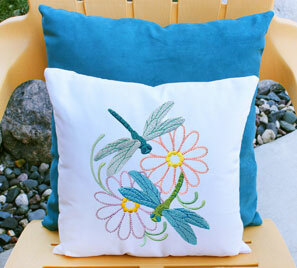 Get tips and tricks for embroidering on outdoor fabrics in this helpful tutorial. 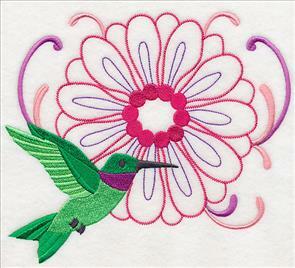 A buzzing honeybee perches on its hive; a hummingbird lands on a blooming flower. 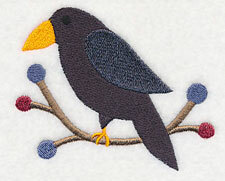 Great on apparel, kitchen towels, pillows, tote bags, aprons, and more. 7.71" x 7.81" and 6.91" x 7.01"
5.86" x 5.95" and 4.87" x 4.95"
7.80" x 6.87" and 7.11" x 6.26"
6.41" x 5.64" and 5.52" x 4.86"
This friendly turtle is a wonderful embroidery embellishment for gardening gear, spring projects, or outdoor decor. 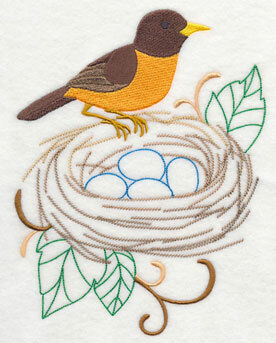 Or, add this adorable robin to home decorations, quilts, and market totes. 6.85" x 8.02" and 6.29" x 7.36"
5.86" x 6.86" and 4.86" x 5.69"
6.91" x 8.94" and 6.04" x 7.81"
5.41" x 7.00" and 4.86" x 6.29"
Purchase these nature's boutique designs individually by clicking the links above, or get all 6 of the designs in a pack. 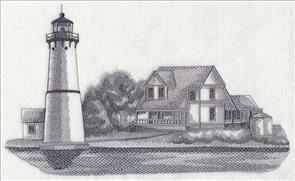 Rock Island Lighthouse is located in the Thousands Islands in New York, alongside the St. Lawrence River. 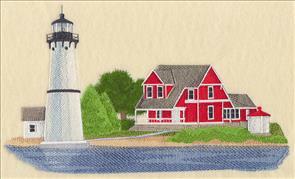 Debbie requested the beautiful lighthouse design to use on a quilt. Thanks for the suggestion, Debbie! 11.73" x 6.90" and 9.40" x 5.50"
11.49" x 6.90" and 9.40" x 5.64"
7.80" x 4.68" and 6.87" x 4.11"
a popular program, and designs are scheduled through the middle of 2017. But we still want to read your ideas! Send them to support@emblibrary.com. We'll add them to the list of designs to be created.